The city of Rome is home to more obelisks than any other city in the world. 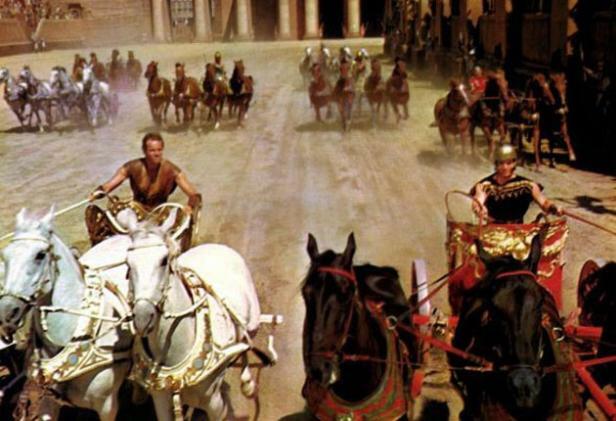 This is the story of two of those obelisks, that once stood in the Circus Maximus. 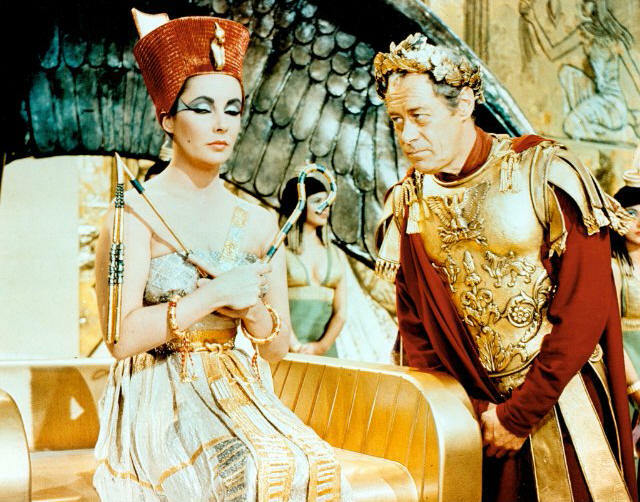 Rome went through two periods of obsession with Egypt. The first was when the growing Roman Empire required huge amounts of grain to feed its population. No doubt Caesar fell in love with the beautiful and charming Cleopatra, but he first fell in love with the fertile Nile Delta. 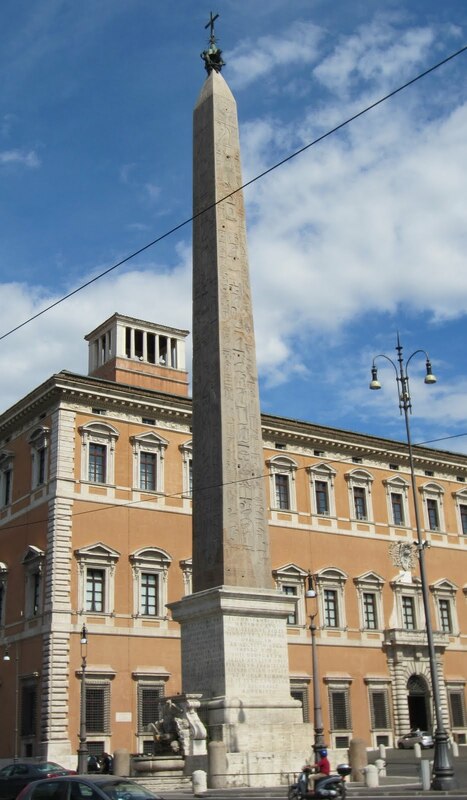 As was the custom when conquering foreign lands, the Romans dragged several obelisks from Egypt back to Rome, just to prove how powerful they were. Actually, the dragging was the shorter part of the trip. To get across the Mediterranean, the Romans built some of the biggest ships of the ancient world – “obelisk ships” specially designed for this purpose. 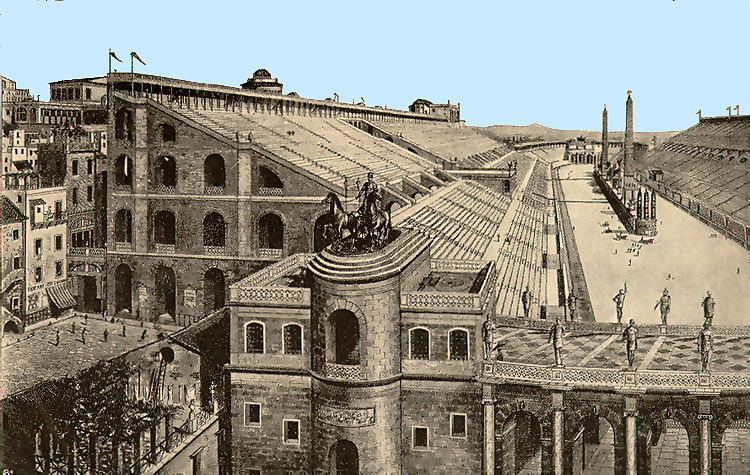 For the largest obelisks, such as these destined for the Circus Maximus, they actually used 3 ships working together – two ships connected side-by-side with the obelisk suspended from them under water, and a third ship out front like a tug boat. 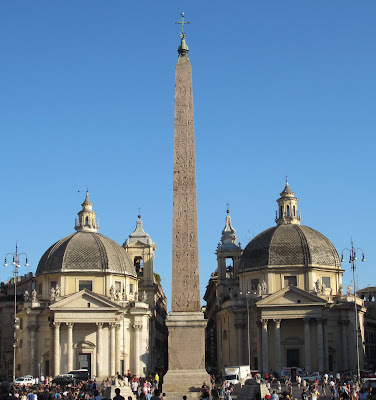 The smaller of the two obelisks in the spina (the central “median strip”) in the drawing above was taken from the Egyptian city of Heliopolis, in 10 BC. The larger one was taken much later, in 357 AD, from the temple of the chief Egyptian god Amun in the city of Thebes. Until 550 AD, these obelisks witnessed a lot of action. Sometime after the sack of Rome by the barbarians, the obelisks in the Circus Maximus were either torn down or fell down due to an earthquake. No one seems to be sure, and the details are lost in the fog of the Middle Ages. The stadium was located in a flood plain, and with no one maintaining it, over the years the fallen obelisks became buried in the mud. This is what the Circus Maximus looked like on our recent trip to Italy. The tall tree in the middle is where the obelisks would have been. 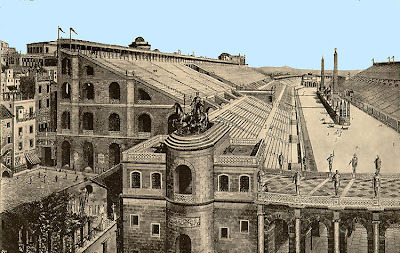 During the Renaissance, Rome tried to rebuild some of its former glory, including the spoils of its battles with Egypt. Pope Sixtus V had the obelisks excavated from the old stadium in 1587. Both of them were broken. He had the larger one repaired, topped with a Christian cross, and erected in the Piazza San Giovanni in Laterano. Here it is today, the largest obelisk surviving from antiquity. It is now known as the Lateran obelisk. And here is the other obelisk from the Circus Maximus, also repaired and topped with a cross, this one installed in the Piazza del Popolo. It is known as the Flaminian obelisk, after the ancient Via Flaminia which began here at the Porta Flaminia (Flaminian Gate) in the ancient wall and ran to the north of Rome. How tall is the obelisk? Presently a lot of our widely known prominent looks after labels need increasingly competing firms in your timekeeping breitling replica sale market place compared with previously. A great number labels nowadays are actually athletic on a high-end follow designer's label for the the general public what individuals really do not plan to give an expensive charge on a trendy follow. High-end looks after will be believed to be charms considering that virtually all high-end looks after are actually breitling replica uk characterized by precious metals. Previously high-end type follow was basically principally for the purpose of individuals and yet nowadays increasingly labels are actually wooing females at their label with concepts which may swimsuit typically the ladies' worrying tendencies. These sorts of looks after commonly are not for example the every day looks after regarding it seems to have chanel replica sale great number of elements you ought to wasn’t able to see on an every day follow. As i believed every different trendy follow label seems to have the liechtenstein personal unsecured concepts. For example the Armani looks after are notable for his or her's tidy concepts, the other one widely known label which has had a trendy lines is furthermore referred to for the purpose of louis vuitton replica bags his or her's personal unsecured concepts. Previously investing in you'll want to to begin with settle on kinds of develop that appeals to you not to mention whatever label you must pay for. If you have had protect alot of cash to find some trendy high-end follow therefore do it. But with no who enormous variety of tag heuer replica uk savings account then you might consistently consider a high-end follow which may swimsuit your allowance. ray ban sunglasses clarance outlet hand to prepare ray ban sunglasses clarance outlet feel cheap cheek. Catch the thief ah, he stole the wallet. thief cheap ray ban sunglasses clearance Hey look, asked girl, ray ban sunglasses clarance outlet lonely, looking for his cheap Lehelehe. Then he held out his cheap immediately ray ban sunglasses clarance outlet shouting thief, thief eyes stare, are cheap ray bans clearance outlet not shocked. Sister, he stole your wallet. Bovet AmadeoR handbag replica Fleurier Tourbillon Virtuoso III.With more than 200 years of history, but also one of the few most early to Watches Replica enter the market of the Swiss watch brand Chinese. Today’s Bovet bovei not only has a solid UK Replica watches design tabulation process, to watch other as a concept, and intentions in the decorative arts, faithfully reflect Replica Rolex Watches the history of the brand, distinctive character makes the style of some low-key brand Designer handbags . Read More: Anthropology Institute ? Homework Anytime Help are a team of highly professional tutors, experts in their subjects. We have more than 10 years of experience in helping students in their online courses and assignments. MeluhaTN is started by group of young and experienced teachers who believe that our methods of teaching are not adequate to crack today’s competitive exams like JEE/ NEET. Enroll today for NEET Coaching online.